I'm not a fashion blogger. Not even close. I might occasionally tweet pictures with the hashtag #OOTD, but that's a pretty rare occurrence. Not to mention all photos are self-portraits in horrible lighting. In the winter, I rotate between jeans, black slacks, black corduroy leggings, and gray sweater leggings paired with a rotation of long-sleeved shirts, 3/4-sleeved shirts, and sweaters in a mostly black, white, and gray color scheme and an assortment of colorful scarves. The Midwest is cold, even in the spring. The weather in the last several weeks has been all over the place. My clothes have to accommodate an office that's usually cool, a department store that ranges from freezing to boiling, and the outdoors itself. 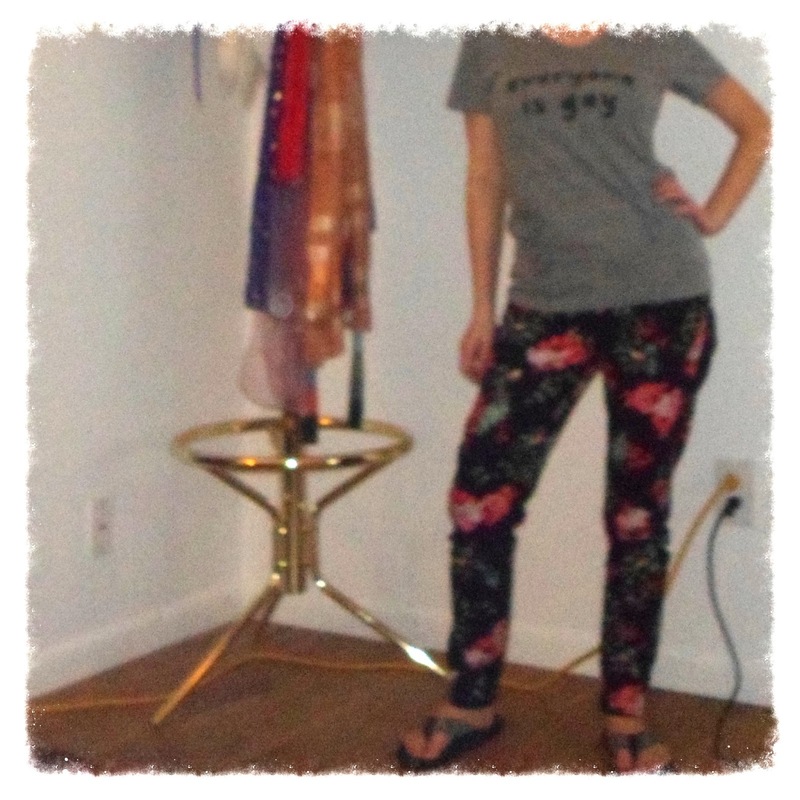 In other words, I basically wear the same pair of floral skinny jeans almost every day. These jeans are magical. I started admiring them when I was still working in the salon, but even with a very reasonable $20 price tag, I couldn't justify buying jeans I didn't need. Then I received a $10 reward from the JCP Rewards program--suddenly the price was right! The reward plus my discount took the jeans down to $7.50. Such a steal! I originally went with the size 6 petite, but I ended up getting the 4 regular so I can tuck them into my ankle boots. I receive compliments on these jeans almost every time I wear them. I always glow under the attention, but I also laugh when a fellow employee of JCP compliments me. They're a.n.a. jeans! We sell them! Thus I make my fashion blogging debut! 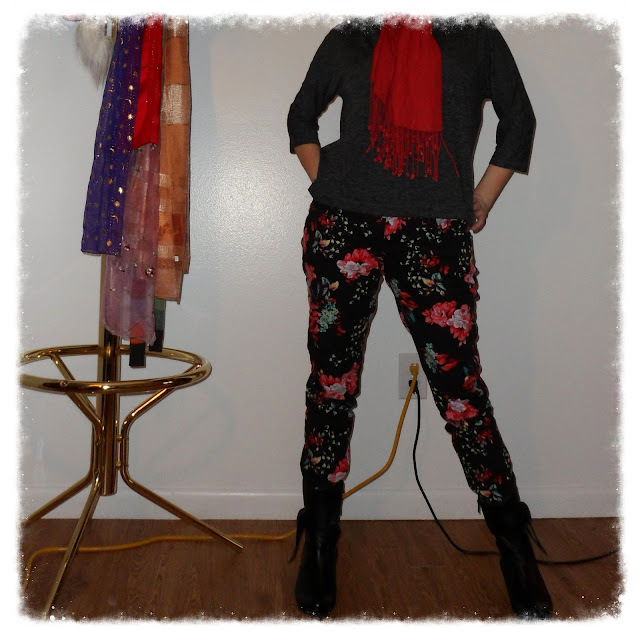 Below are just a small sampling of the different ways I style my floral skinny jeans. 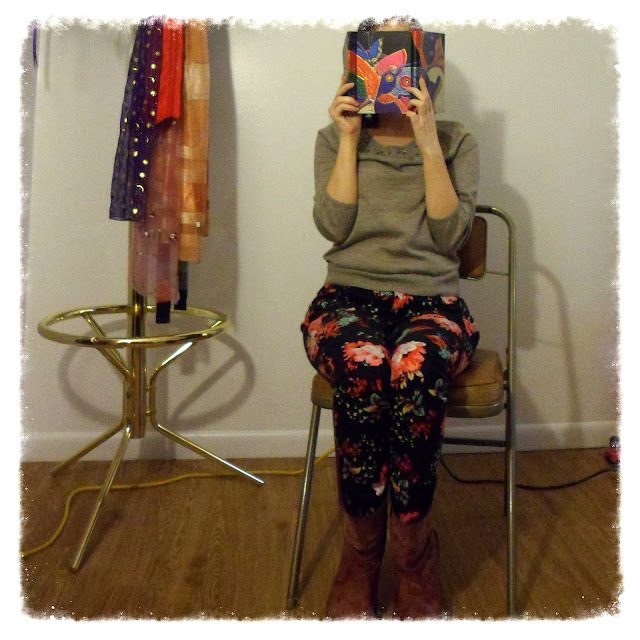 So this is my attempt at being a fashion blogger! Do you have any standout pieces in your wardrobe? How do you like to style floral prints? I really love them with the striped shirt. 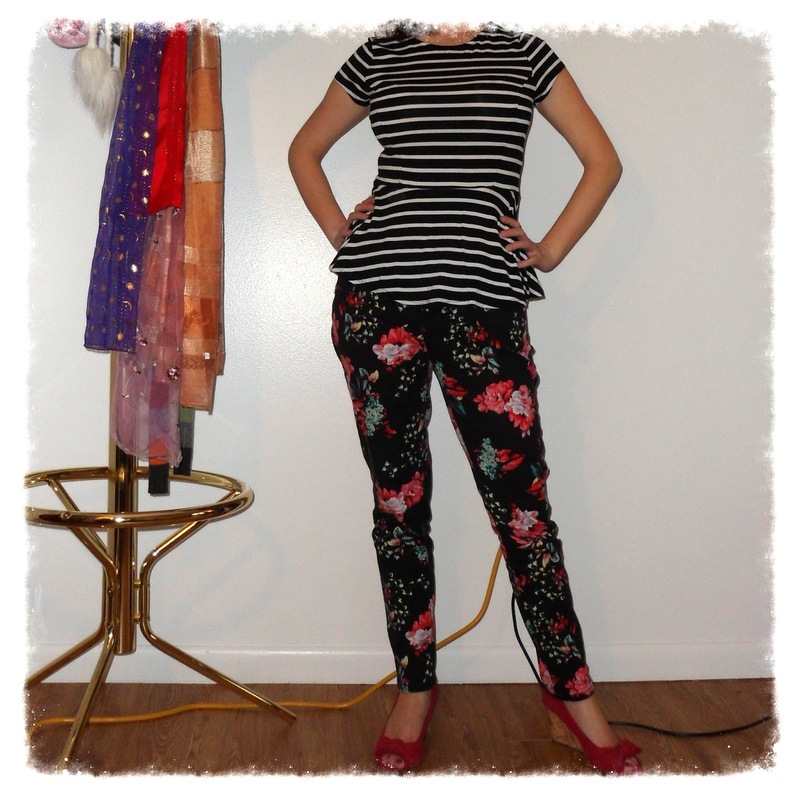 I also have a pair of floral jeans, I'm into everything patterned, and I'm totally going to wear them that way now! Thanks! I'm obsessed with them. :) They're sold out online, but I know my JCP still has a bunch of them on clearance. I take that back. They're available in some sizes online.